Red Sox vs. Tigers/Athletics Who do we want to play? One of the best things about the Red Sox finishing off the Tampa Bay Rays in 4 games is the fact that the team now gets to sit back and watch the Oakland Athletics and Detroit Tigers battle it out in a do or die game 5 tonight in Oakland. With their ticket already punched to the ALCS there is 2 questions that remain, who will they be playing and who do they want to actually play? Lets look at the first question, who the Red Sox will likely play. The Tigers are 2-0 in Game 5 scenarios, while the A’s are 0-5, history says advantage Tigers. Justin Verlander gets the ball for the Tigers while the A’s go for a surprise move and opt not to pitch their “ace” Bartolo Colon and decide instead to pitch Sonny Gray. 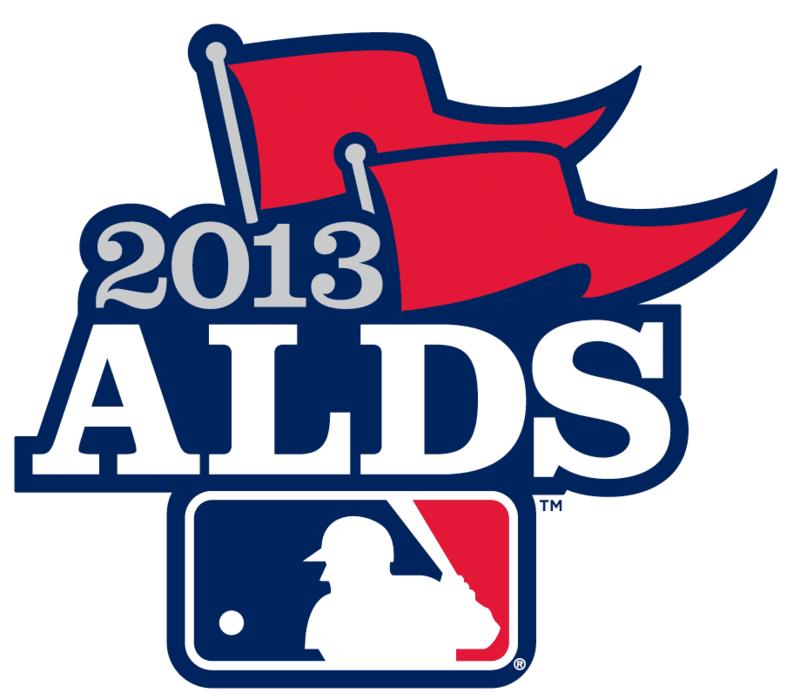 This will be a rematch of Game 2, a game that Gray barely edged out Verlander and the A’s won on a walk off single. If we are to get a similar game tonight it would be one of the best Game 5’s of all time. Yet looking at previous work it looks like the advantage would be given to Verlander. Detroit is also riding an emotional high, winning Game 4 at home to force a Game 5, again advantage Detroit. Looking at the facts it looks like it will be Detroit celebrating in Oakland tonight, yet no matter the outcome the Red Sox will be ready. 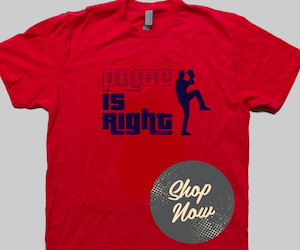 Now for the second question, who do the Red Sox want to play? In the season series against the Tigers the Red Sox went 3-4 losing 3 of the games in Detroit and winning 2 of the games in Fenway. In the season series against the Athletics the Red Sox went 3-3 winning 2 games at home and losing 2 games on the road. When you look at the potential rotation matchup between the Red Sox and the A’s/Tigers it looks as if the Sox would want to play Oakland. 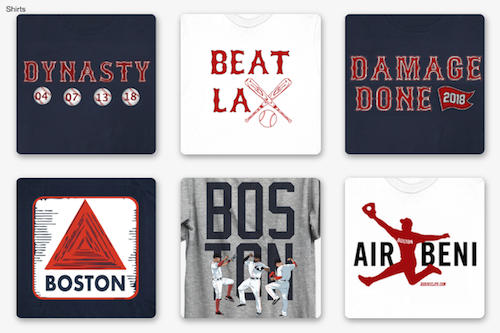 Note that the Red Sox have only announced their Game 1 starter as Lester, and all other matchups that are listed below are predictions. Game 1 would be Jon Lester vs Bartolo Colon. Game 2 would be John Lackey vs Jarrod Parker. Game 3 would likely feature Clay Buchholz vs Sonny Gray. 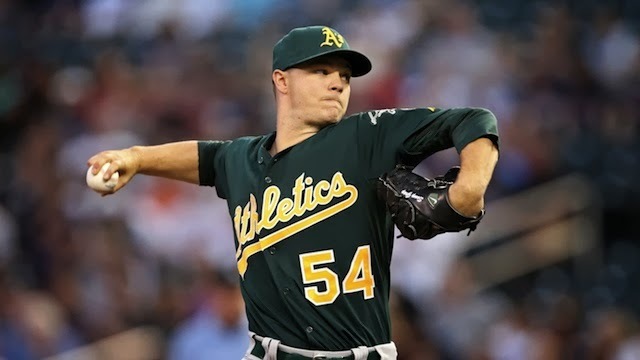 In Game 4 the Sox would likely turn the ball over to Jake Peavy while the A’s would potentially give the ball to Dan Straily. Game 5, 6 and 7 would likely follow in the same form that games 1, 2 and 3. When you look at a potential series against the Tigers the pitchers would look the same for the Red Sox but for Detroit it would look quite interesting. Game 1: Jon Lester vs Max Scherzer. Game 2: John Lackey vs Anibal Sanchez. Game 3: Clay Buchholz vs Justin Verlander. 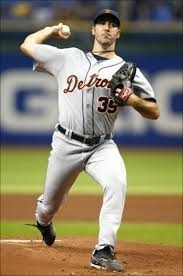 (Why Verlander in Game 3? With him starting game 5 tonight he likely will want to get enough rest to pitch on at least 4 days rest, Game 3 will be with 5 days rest while Game 2 would be on 3 days rest). Game 4: Jake Peavy vs Doug Fister. Game 5: Jon Lester vs Max Scherzer. Game 6: Clay Buchholz vs Justin Verlander. (With series 3-2 in either teams favor starts would be bumped up to both teams trying to end series/extend to Game 7). Game 7: Anyone vs Everyone. Offensively the Red Sox scored the most runs out of any team, with the Tigers being second most and Oakland being 4th most. Fielding wise the Red Sox ranked 8th in the majors while Detroit ranked 6th and Oakland ranked 18th. The Tigers have one of the best 3-4 hitting combos in the game, Miguel Cabrera and Prince Fielder while Oakland has speed throughout their lineup from Coco Crisp to Yoenis Cespedes. Don’t forget about Miguel Cabrera, the monster, the man that won the triple crown in 2012. He has the ability to change the game every time he steps to the plate, and is excellent at the hot corner of the infield. But what about Yoenis Cespedes, the youngster that could make an argument that he is the best young player in California (Mike Trout will argue that fact). His speed in the outfield is scary fast, but he has not played the Green Monster in Fenway often. So who should the Red Sox want to face in the ALCS? I’m not really sure, whoever they play the team will be ready for them. They will be well prepared to take on either team. Personally I hope that the Sox play the A’s, while travel will be tough on the team I feel that matchup better pitching wise against Oakland. Detroit also has so many players that can change the game so quickly that it is dangerous to play against them. Detroit has the 2 of the last 2 Cy Young winners, if Scherzer wins the award this year. Who do the Red Sox want to play? Either team to be honest, the players are confidant, they are ready to play, and they are relaxed getting to watch the game tonight. If the Sox play Oakland I think that they will win the series in 5 games. If the Sox play Detroit I predict that they win in 7 games. No matter who they play the series will be fantastic and it will be wonderful to see ALCS baseball back in Fenway Park but as fan and writer I will be cheering for Oakland tonight and hope that you will be too. 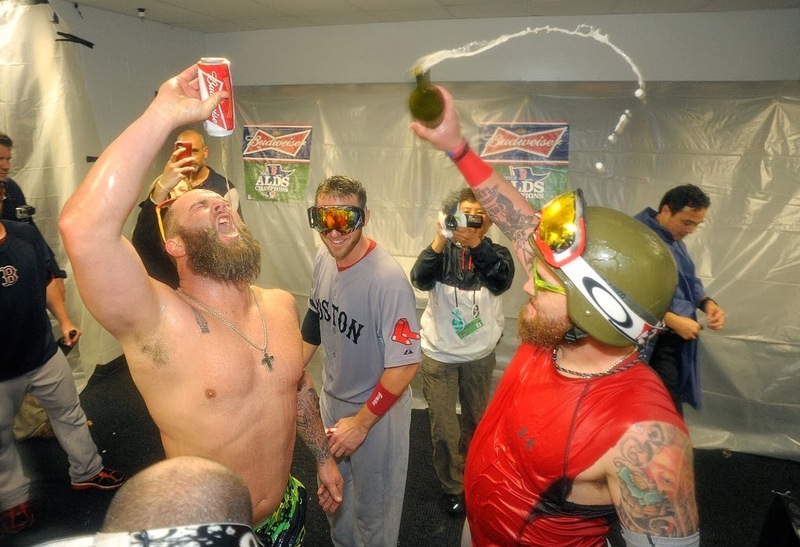 At the end of the series this is all that Red Sox fans want to see.